The US market is a targeted strategic growth area for the Wilo group. This investment will drive Wilo’s plans to expand its geographic footprint, and increase its North American market share. 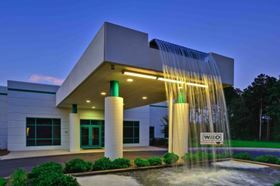 WILO USA is headquartered in Rosemont, Illinois, with a 60 000 sq ft manufacturing facility in Thomasville, Georgia. Dmitry Medvedev, the Russian prime minister, has officially opened Wilo’s new production plant in Moscow-Noginsk. Wilo signs special investment contract in Russia.